Walk around Wynyard Quarter and you’ll see evidence of its past everywhere you look. The first people to come into contact with and recognise the great value of Auckland’s waterfront were Maori, and the Te Reo name for Aucklandspeaks to the value placed upon this land at the water’s edge. Tamaki Makau Rau means “the bride sought by a hundred suitors” and many battles were fought to gain supremacy. The glistening waters of the Waitemata were teeming with fish, as the proverb “Tamaki – kainga nga ika me nga wheua katoa!” (Auckland – where the fish are so succulent you can eat them bones and all!) signifies. Many fortified villages (pa) were built on the headlands that alternate with the bays of the waterfront, with many points along the water’s edge having evocative names that describe how life was lived. From places where waka were dragged ashore or launched for fishing expeditions (Mangonui - Big Shark, now called Kauri Point) to places where cockles (clams) were found (Waikokota- Cockle Bay, now Freemans Bay) the importance of the waterfront to iwi (Maori tribes) is easily grasped. This heritage is reflected today in places like Karanga (“Welcome” ) Plaza, an important public space at an access point to the Wynyard Quarter and the continuation of the concept of kaitiakitanga in the approach to the redevelopment of Wynyard Quarter. Kaitiakitanga means guardianship, and is a theme that recurs in the care taken to preserve the heritage and character of this area while revitalising it and making it more accessible to the public. As a key location for much of Auckland's marine activity and home to the Fish Market, this is an area that reflects the importance of the sea to Auckland’s growth since the 1800s. The Western Reclamation, now known as Wynyard Quarter was progressively constructed by Ports of Auckland's predecessor, the Auckland Harbour Board, to provide additional berthage capacity and flat land for port related activities,with the last component of the reclamation being completed in 1930. 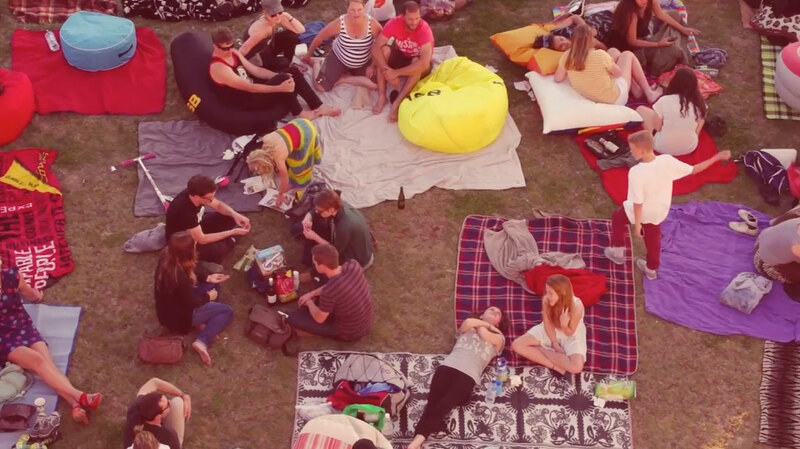 The area was initially utilised by the timber trade, and then in the 1930's it started to be used for bulk petro-chemical storage, leading to the area becoming known among locals as the 'Tank Farm'. Changes to the way fuel was supplied to Auckland meant much of the land was no longer required for bulk fuel storage, freeing it up for progressive revitalisation. 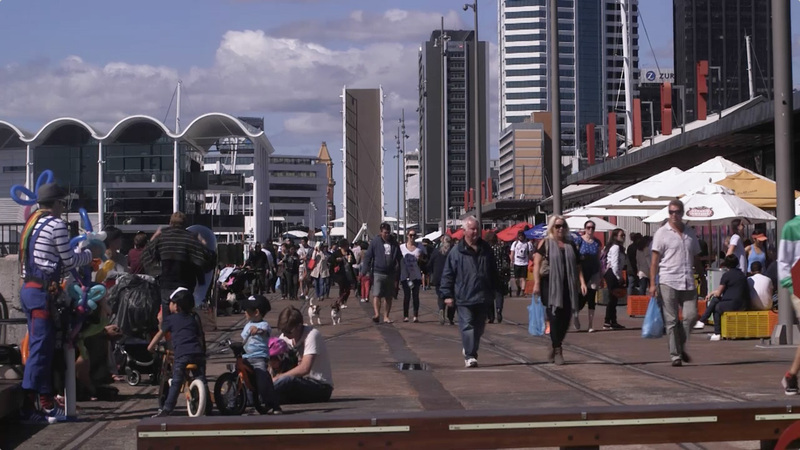 In 2005 Ports of Auckland developed a unique Western Reclamation vision and concept to transform the area into a harbourside community in stages over the next 25 years. 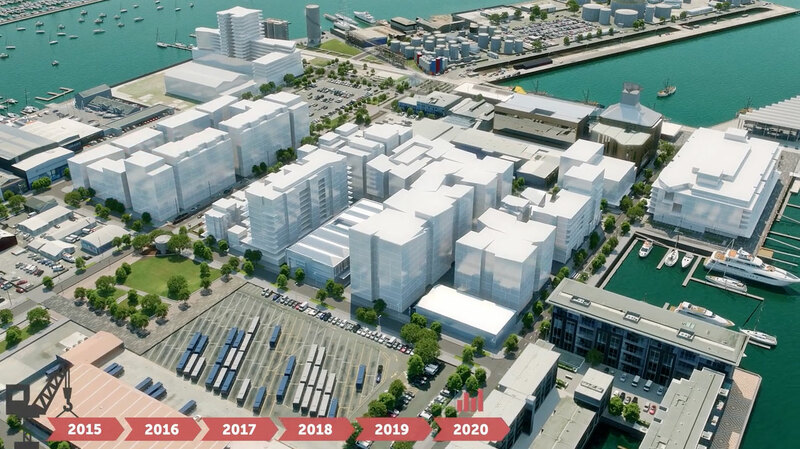 In 2007 Sea+City Projects was established to oversee the development of Wynyard Quarter and in 2010 as part of the super city merger, Waterfront Auckland was established as the Council Controlled Organisation to manage the development of Wynyard Quarter. 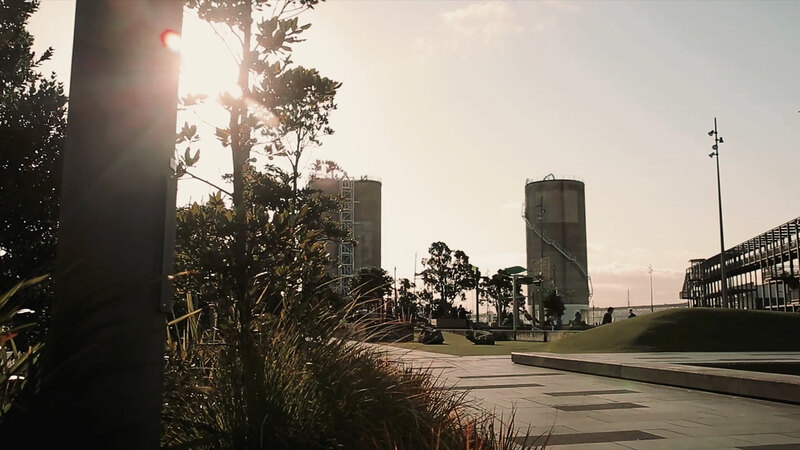 In August 2011 stage one of the revitalised Wynyard Quarter, $120m of capital projects including new public parks, plaza event spaces and pedestrian bridge opened to much public acclaim.